Hi! 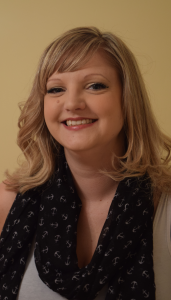 My name is Jenny Hartill and I own Cloud9 Therapy, providing emotional and cognitive therapy in Chelmsford. I completely changed career from working in the City to being a therapist because I suffered with severe anxiety and panic attacks. After having therapy myself I decided I wanted to help others get better like I have. really want to feel better I promise I will do everything in my power to help you! I understand how it feels to be under stress and suffer from anxiety. I also know how to deal with it. Not only from a professional point of view, being a counsellor and hypnotherapist, but also from a personal point of view having been through this experience myself. I suffered with Generalised Anxiety Disorder and Panic for years and I am living proof that mental health issues can be resolved with the right therapy and the right therapist. There is nothing you can tell me that will shock me. I’ve heard many different and varied issues from many different clients over the years. Are you embarrassed by how you’re feeling or thinking? So many of my clients felt the same way when they came to therapy. I felt the same way myself! I still remember all the strange thoughts and feelings I had. So many fears and phobias, low confidence and esteem. But I got help, and here I am today all better, ready to help you feel better! So if you want to get better too, I want to help you. If you’re serious about getting better, I’m serious about helping you. I work in the heart of Chelmsford from Chelmsford Therapy Rooms at Perception House. It’s just a couple of minutes walk from Chelmsford Railway Station and the Bus Station. I own Chelmsford Therapy Rooms as well as Cloud9 Therapy. My approach aims to help clients help themselves and become their own therapist so they can experience positive changes in their lives forever. As a result of my being a member of these organisations I am also on the Accredited Voluntary Register. I write articles on counselling and hypnotherapy for Chelmsford The City Times and The Moulsham Times on a monthly basis. I work with private individual clients and with patients referred to me from private medical companies, insurance companies and Employee Assistance Program Consultancies. Therefore I have experience using online portals and writing patient assessments. I also own Chelmsford Therapy Rooms, a room rental service for self employed private therapists. CTR is a membership organisation, therapists that wish to work with us have to provide proof of qualifications, membership of a professional body and insurance. We have regular networking meetings for therapists and I provide a referral service. Therapists can advertise on my advertising platform on the CTR website. Individuals looking for therapy can see the therapists available to take their enquiries. I’ve been working in psychological therapy in Chelmsford for over 7 years. Wh en I set up Chelmsford Therapy Rooms I realised quickly that there was a need for business skills training amongst therapists. I therefore decided to write and produce business skills courses specifically for psychological therapists and so CTRN Training was born! I work with my producer Dan at Sidrat Studios to produce high quality, straight forward training to therapists wishing to go into private practice. It feels amazing to pass on my skills and knowledge and see therapists flourish. I also enjoy meeting new therapists at the regular networking meetings I run through Chelmsford Therapy Rooms!